A city-led working group issued recommendations for strengthening the local response to the opioid epidemic. 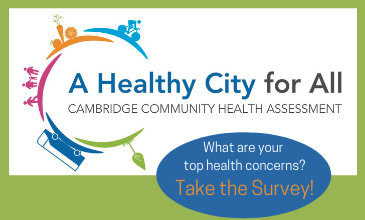 The Cambridge Public Health Department achieved national accreditation in August 2018. Media release. Children under 5 are involved in over 50% of poisonings that occur in U.S. homes. See the top 10 household items responsible for poisonings in young children and learn how to poison-proof your home. Talking with babies prepares them for school and a lifetime of learning. Families can find tips on talking from the Let’s Talk! program. Learn how to talk about substance use with your tween or teen.